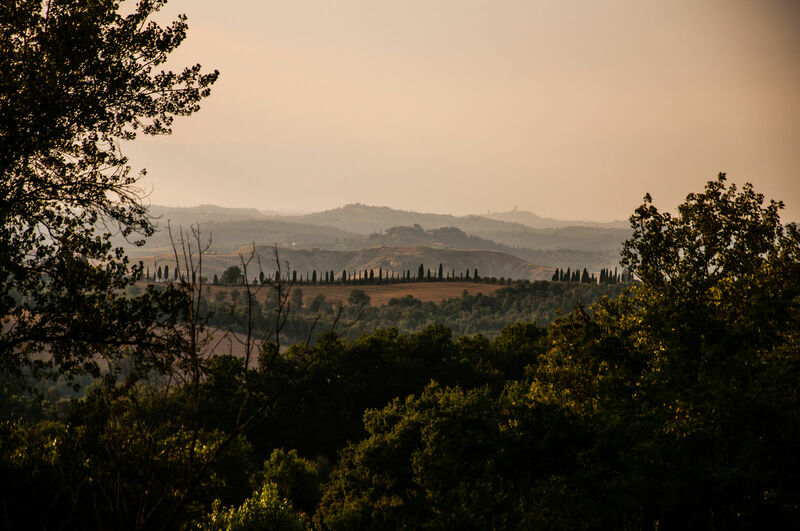 The territory of Gambassi Terme has always been “transient”: it certainly was during the Etruscan period, located as it is on the road to Volterra, and it was when the Romans came, being a junction on the via Clodia between Siena and Lucca. In the Early Middle Ages, travellers passed through here, especially pilgrims walking the via Francigena (as the Archbishop Sigeric of Canterbury did, who, in his itinerary marking the stops along the way to Rome, mentioned the Parish Church in Chianni in 994. If you arrive via the Francigena, it would surely be worth your time to visit the Church of Santa Maria Assunta in Chianni, a fascinating and significant example of Romanesque architecture (with a bit of luck, you can even attend a concert, which are often organized here). Already inhabited in the Neolithic Era, the Gambassi area reached its peak between the Etruscan-Archaic period (7th century BCE) and the Late Roman era (3rd century CE). Important ruins (tombs and traces of settlements) were found in the archeological area of Poggio all’Aglione and in many other sites throughout the territory. The archeological artefacts from that period can be seen in Palazzo Civico and in the headquarters of the Gruppo Archeologico, where they are on permanent display. Some centuries later, from the Middle Ages to the modern era, the area around Gambassi became known for its glass production, with masters who would practice their craft here. Gambassi takes its name (since 1977) from the thermal baths that have been found in this area since antiquity. Still enjoyable to this day, the spa resorts are immersed in the greenery of the City Park. When deciding where to establish the resorts, it was thought that it would be a good idea to ensure an easily accessible experience and one that is particularly specialized both medically and scientifically, in an ideal context for environmental and historical-artistic conditions.